A collard greens recipe that you will love! Did you think that the only way to make a tasty collard greens recipe is with a stick of butter and a pinch of salt? Green smoothies are a convenient way to assimilate many of the nutrients from collard greens. 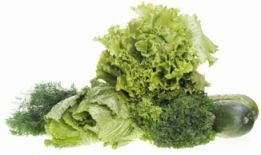 If we don’t rupture the thick cell walls of cellulose in dark leafy greens with our teeth, a lot of the valuable nutrients will never reach our cells. #1 – Chew all of your greens until it is a cream mush. #2 – Blend all of your greens into a fruit smoothie and drink. The second option wins my vote. How about you? A healthy collard greens recipe contains many benefits for you. A study published by Drug Discovery Today shows that the phytonutrient sulforaphane contained in collards and kale has shown to stop breast cancer cells from multiplying. What mother doesn’t want protection for herself and her daughters against that horrible disease? A collards greens recipe made into a smoothie really is simple. Take your favorite fruit combinations and blend it all up with some collard greens. Collards are actually one of the most nutrient dense foods, next to kale. I personally think that the flavor of collards is not as strong as kale’s. So people are more likely to use collards than kale. 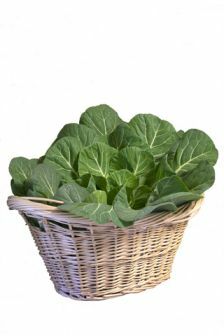 To transform your collard greens recipe into a green smoothie, wash the leaves off very well. As with kale, you do not use the stem in the smoothie. You can, but it creates a thicker smoothie. Grab the base of the stem with one and strip the leafy green leaf off the stem with the other. This is not necessary, but I prefer my green smoothies without the stem. Many people find that they will start craving the flavor of a smoothie with lots of greens. But a beginner may want to start off slow. Use baby collards, if you want less of the green flavor. You can also start off with spinach and work your way up to the more nutrient dense greens. Just as long as you are going in a healthy direction. Interested in how many calories are in these smoothie recipes? How about Weight Watcher Points? Check out my ebook, Smoothie Handbook for Health. I bundled together 135 taste-tested smoothie recipes and calculated all the numbers for you. Plus, there are additional bonuses. Pour water in first. Then place the banana and pineapple closest to the blade with the rest of the ingredients on top. Blend until smooth. Pour water in first. Then place the fresh fruit and greens closest to the blade with the rest of the ingredients on top. Blend until smooth.